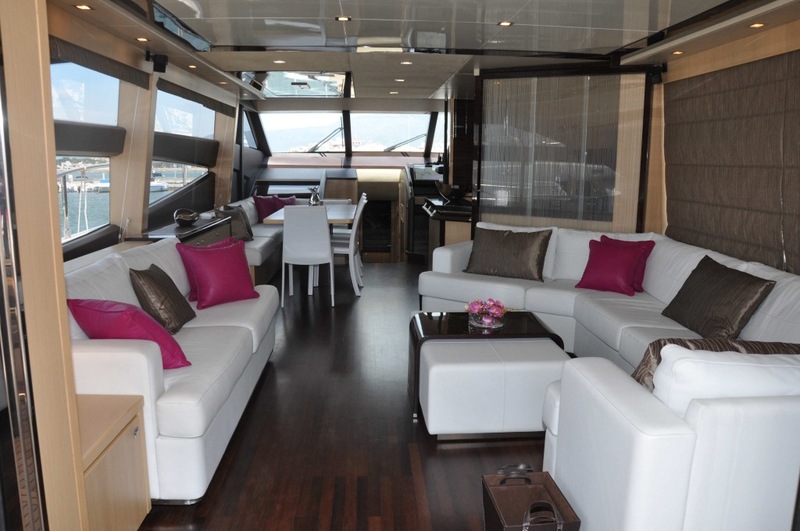 Yacht FLOREVA 2 was built by Princess Yachts in 2011 and measures 22 meters (72.2ft) in length, the yacht can accommodate up to 8 guests in 4 spacious cabins. 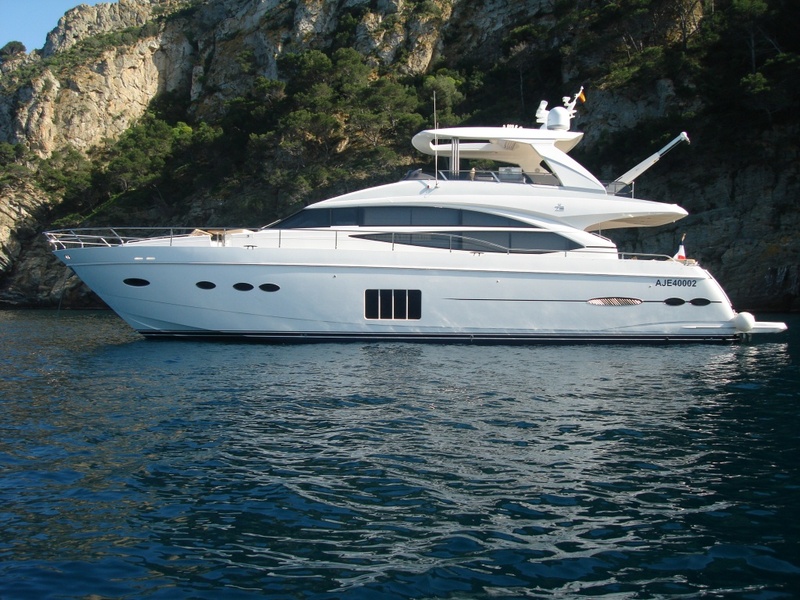 M/Y FLOREVA 2 is available for charter in the West Mediterranean. 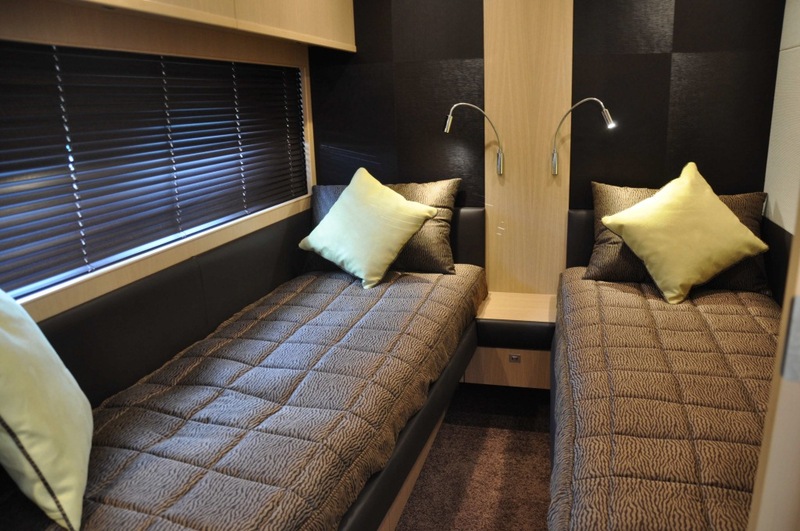 Motor Yacht FLOREVA 2 has a stylish interior; the salon has a sophisticated atmosphere with dark wood floors, white luxurious soft furnishings, including 2 settees; forward of the salon is the formal dining area which seats 8 comfortably. 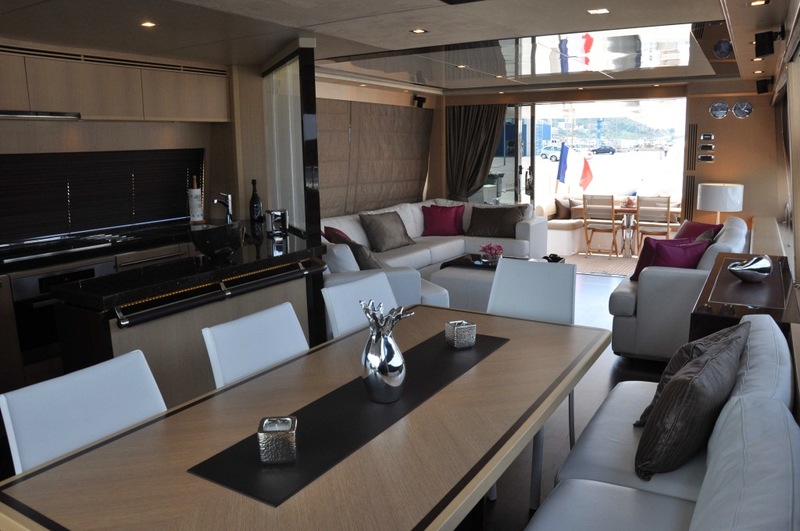 The salon and dining space offers plenty of natural light through large panoramic windows that wrap the entire cabin. 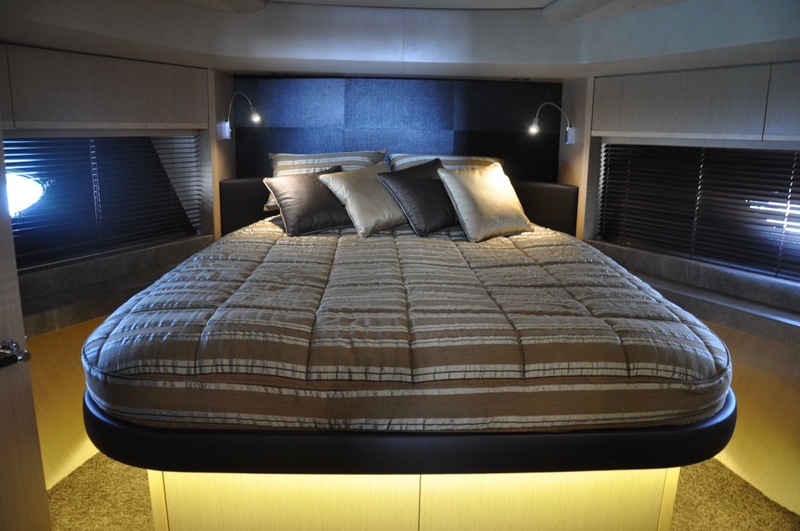 Charter yacht FLOREVA 2 boasts wonderful outdoor living. 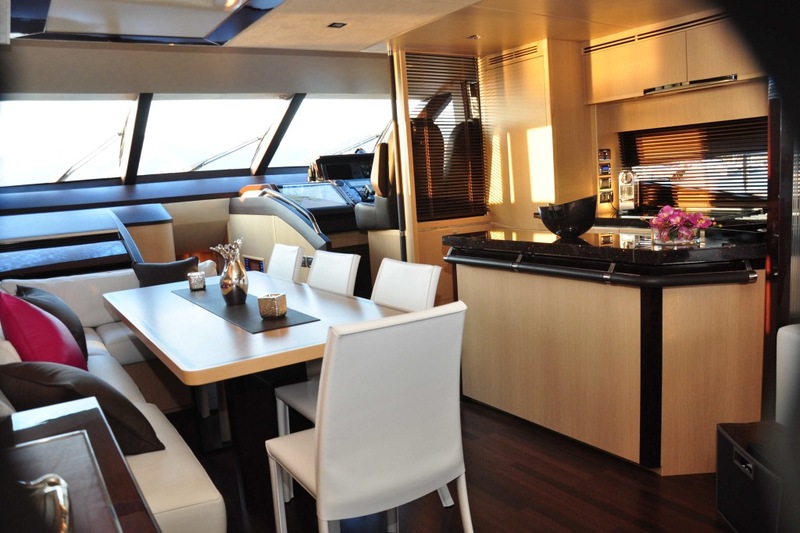 Her aft deck features an alfresco dining option which leads to the swim platform. 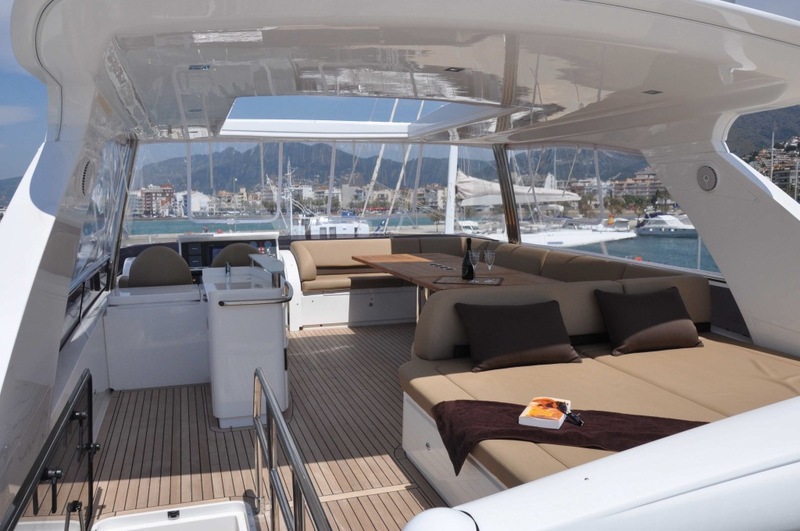 Above deck the generous flybridge offers a wet bar, barbecue, and generous space for entertaining with another alfresco dining option set under a retractable sun/moon roof. 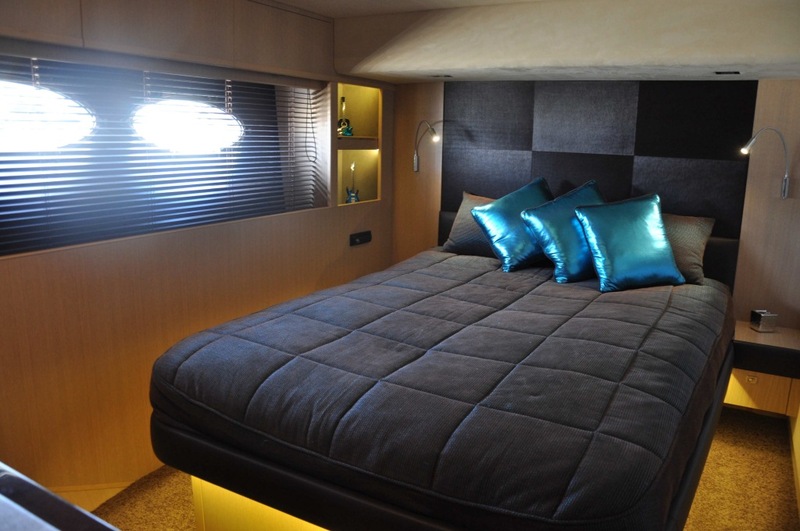 M/Y FLOREVA 2 has a beam of 5.49 meters (18ft) and a draft of 1.68 meters (5.5ft) and cruises at speeds of 32 knots with maximum speeds of 35 knots. 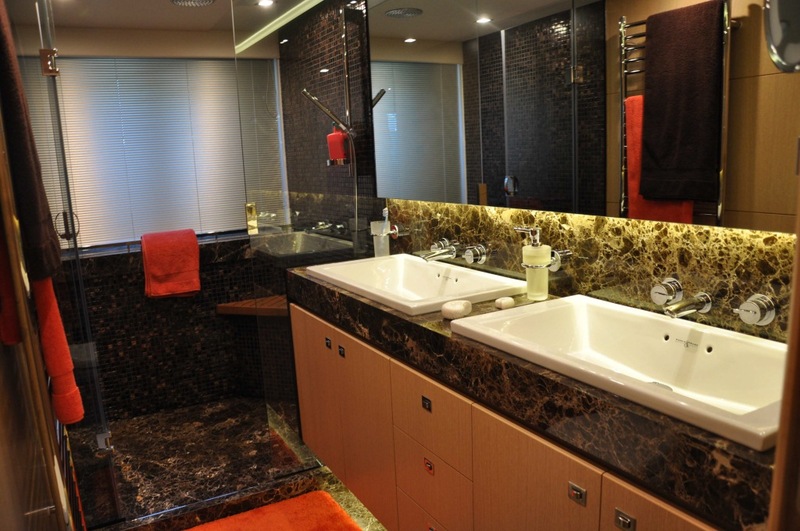 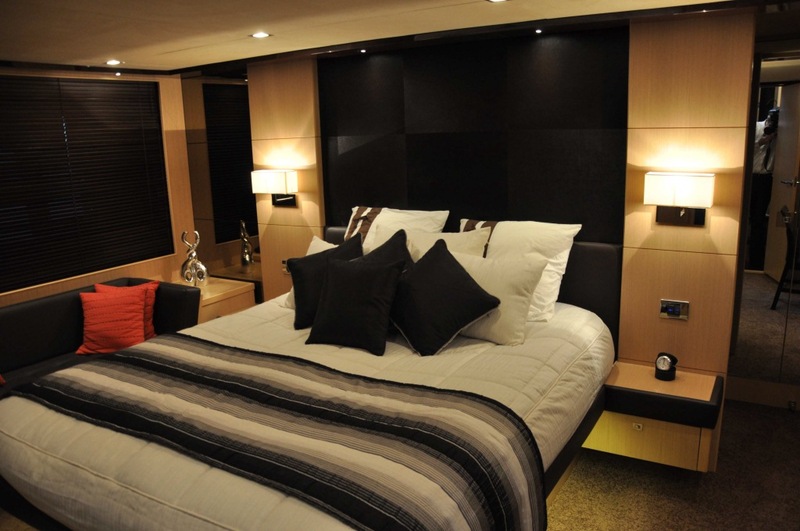 Motor Yacht FLOREVA 2 offers accommodation for 8 guests in 4 cabins, there are 3 double cabins and one twin cabin, all cabins have good use of natural and feature lighting and are nicely contrasted with a dark and neutral toned décor, the 3 double cabins are en-suite while the twin cabin has shared facilities.